Christmas at the Chateaux of the Loire Valley: Let's Celebrate! 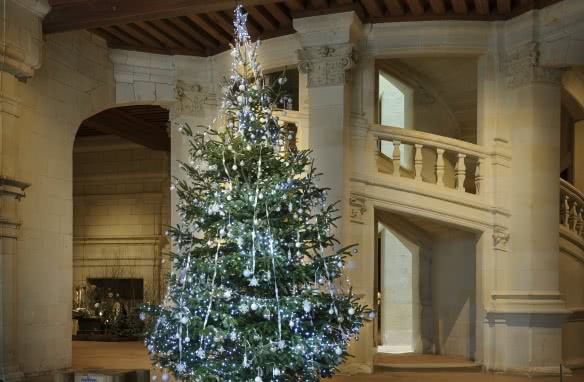 Christmas at the Châteaux of the Loire Valley: Let’s Celebrate! Page d'accueil Christmas at the Châteaux of the Loire Valley: Let’s Celebrate! 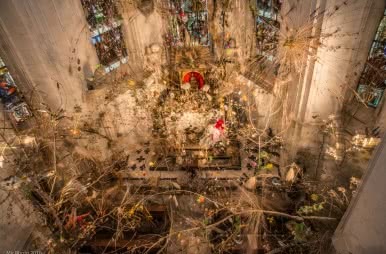 Experience the festive atmosphere in four of the finest Châteaux in the Loire Valley: Blois, Chambord, Chaumont-sur-Loire and Cheverny decked out in all their Christmas splendour. 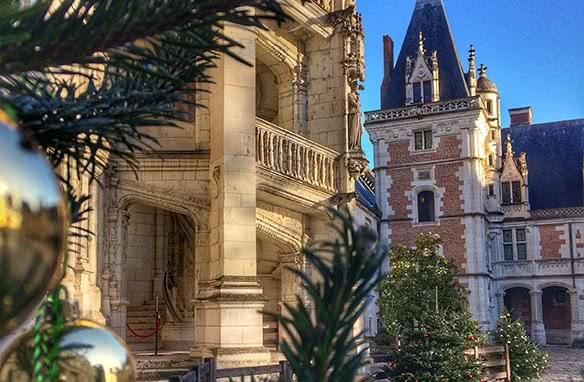 The Châteaux of Blois, Chambord, Chaumont-sur-Loire and Cheverny open their doors to celebrate the magic of Christmas. Situated in close proximity to each other, these four châteaux of the Loire Valley offer an insight into the history of France and the glorious Renaissance period under wonderful fairy lights. 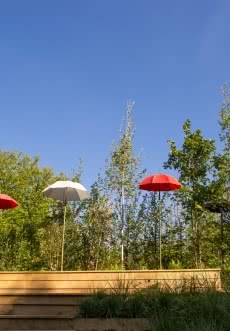 Cities and villages, the ZooParc de Beauval, chocolate or bicuits factories and many other sites enter the celebrations as well... Come and discover the program! 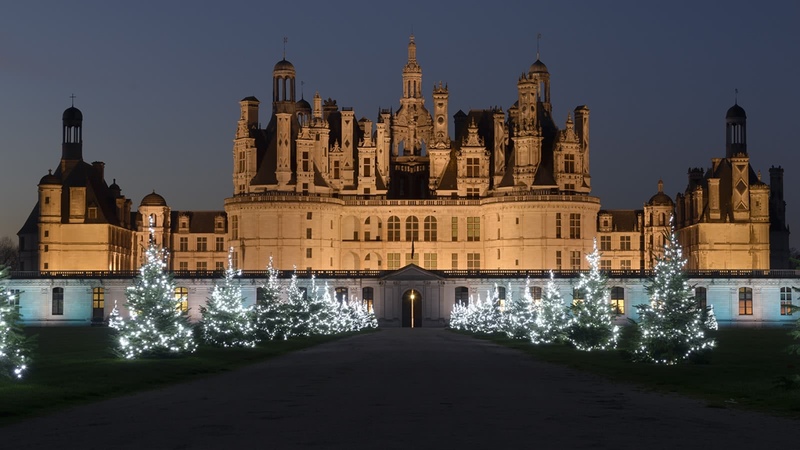 For over a month, from Dec 1st to Jan 6th, the majestic Château de Chambord is decorated in all its Christmas glory. As you explore the festively adorned rooms, you will experience the atmosphere of a an ancient Christmas thanks to actors in period costumes and musicians playing baroque music. On Dec 15th and 16th and from Dec 22nd to Jan 6th, other seasonal activities include fencing demonstrations, choirs and story-telling. Children can end their journey with a visit to Santa Claus who will be waiting for them by one of the many ornate fireplaces. At nightfall, take a magical stroll past the twinkling lights of the Christmas tree lined path leading away from the château. For the first time, discover the unique illumination of the French gardens and participate to a competition of Christmas trees made by prestigious brands on the second floor. It will be up to you to elect the most beautiful tree among the 20 presented! 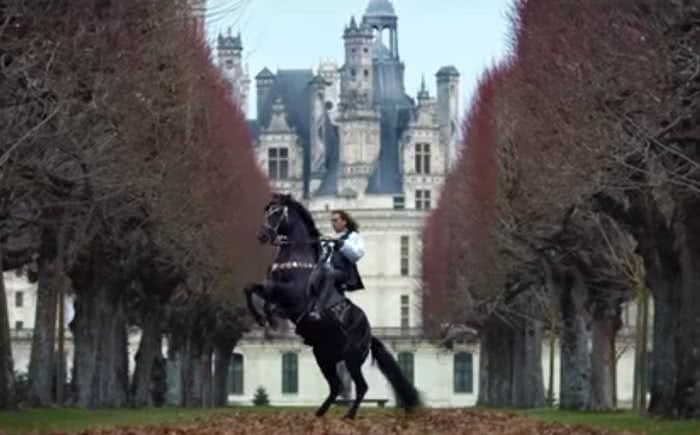 >> In video: It Happened Last Year at the Château de Chambord! Chaumont sur Loire is the most feminine of our four châteaux. It celebrates Christmas in a contemporary style, dressed in its most festive finery. The brightly coloured seasonal theme is repeated throughout the principal rooms of this magnificent residence. Children can demonstrate their creative skills in one of the many workshops which run during the school holidays. Outside in the historic park, the seasonal theme continues with a Winter art exhibition by recognised artists presented by the Centre of Arts. In a word, this is the "Winter Happiness" in an artistic château! In the centre of this small historic city, the Royal Château de Blois celebrates this magical period with animations for people of all ages and offers you an unmissable event from Dec. 1st to Jan. 6th. The Royal Château de Blois is adorned again this year with a festive, unusual, sparkling, mysterious, miniature and offbeat program! A Playmobil® exhibition and a presentation of ancient costumes to understand the past of the château, a night visit to discover its secrets, a 360° new sound and light show on the façade... will guide you through the history of this important centre of power from where 7 kings and 10 queens have rules over France for almost four centuries. As you leave the château, take time to visit the traditional French Christmas market for that special gift or simply stroll around the historic part of the city. 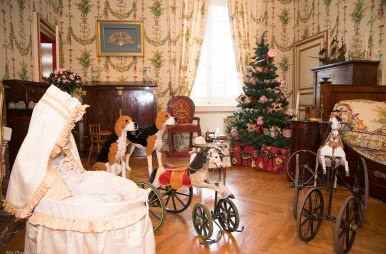 Discover all the traditions of Christmas at the private family residence of Cheverny from Dec. 1st to Jan. 13th. This is one of the most splendidly furnished châteaux in the Loire Valley and has been a home to generations for over 600 years. The family influence continues throughout your visit around the château and outside in the grounds with festive animations, extra large decorations and amazing illuminations on the façade at nightfall. Specialities include a huge advent calender, the giant Christmas wreath and over a 100 beautifully decorated Christmas trees. If you have a sweet tooth, you will be able to enjoy some Christmas snacks for the first three Sundays of December (free of charge for visitors of the château). Santa himself will attend these delicious moments and read Christmas tales to children of all ages. 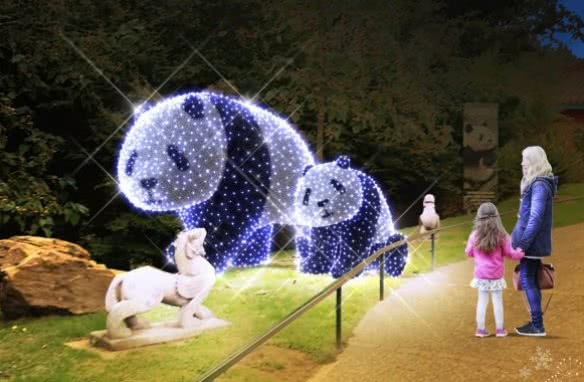 Christmas at the ZooParc de Beauval... when stuffed animals come to life! You would like even more gifts?! In the royal city of blois, join in the seasonal street activities organised by des lyres d’hiver. Enjoy a skate on the outdoor ice-rink, try out the sledge ride or simply walk through the magical atmosphere created by the wandering musicians. 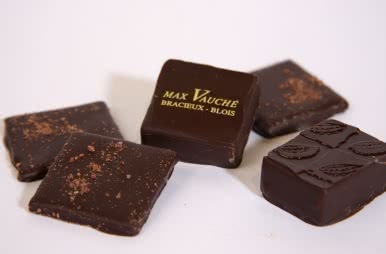 In Bracieux, on the way to the Château de Chambord, enjoy luxury handmade chocolate creations and visit the chocolate factory of Max Vauché Chocolatier. With more than 9 AOC wines to choose from, to complete your Christmas table, visit the Cave Monmousseau cellars in Montrichard. And why not discovering how the real French madeleine is made or browse around the boutique at the St Michel workshop packed full of tempting cakes and biscuits.